For the last 11 years Dr. Elena Tootell has been overseeing San Quentin’s strained medical care, a system she described as occasionally “chaotic.” Now the physician is moving north to Pelican Bay State Prison. Dr. Tootell has become more than just another prison physician. She has become a part of the San Quentin community. Dr. Tootell came to work as San Quentin’s chief medical executive in 2008, just before the prison went into federal medical receivership. She established a diabetes class and collaborated with the Mental Health Department to create an inmate cancer support group. She has also overseen an inmate-patient tracking system. “When I first came here, it was a lot of mistrust of the medical system,” said Tootell. “I remember the Health Fair happened, but medical was not invited to participate. “That to me was a sign that they were inviting doctors from the outside to get a second opinion. So I felt there was reason for the mistrust. They weren’t getting the medical treatment, and we had to acknowledge that,” added Tootell. “Sometimes the inmate-patients didn’t show up for their appointments.” She describe this time period as chaotic. Dr. Tootell and the medical staff then set out to let the prison population know that they were there to change things. “What I wanted was to provide an approachable face,” she said. With that small gesture, Dr. Tootell’s people-to-people approach built a system of doctor-patient trust that won the inmate population’s respect. 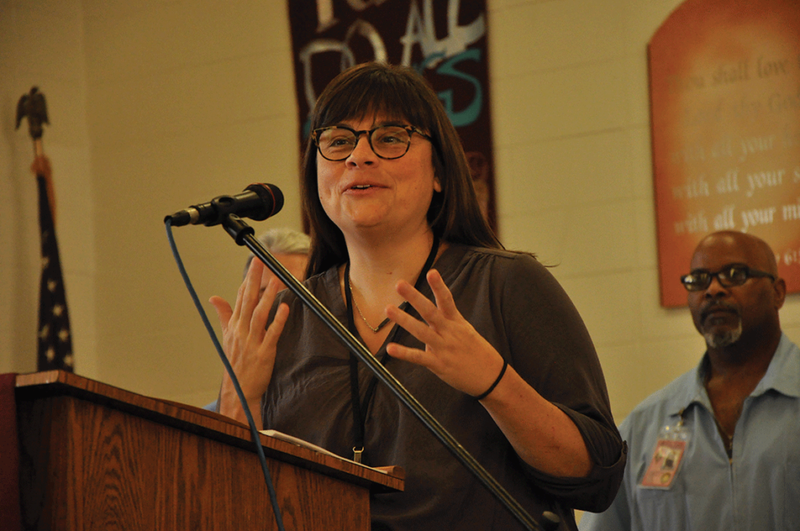 “Now we are invited to the Health Fair to participate, and I think that’s meaningful that we are considered to help provide health care advice to this community,” she added. “I think that’s one of the dreams of a doctor — is that they are going to take care of a patient population, but also to have a community that will take care of them too,” she said. Dr. Tootell created health care that went beyond the prison hospital doors. 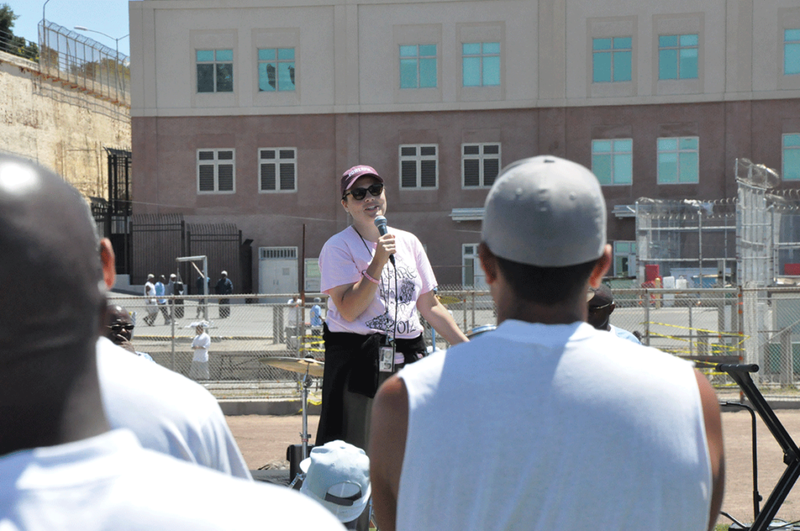 She started programs to help inmates take responsibility for their own health. “That’s why I wanted to do groups. There are so many health care conditions that the patients can actually control themselves. Diabetes, I think, is the biggest one,” she said. “And there is just not a lot of time in a doctor or nurse visit with the patients to really go through and talk about the physiology of diabetes, the medication, the diet,” she added. The diabetes class was created and has since graduated multiple inmates. The program has expanded to Death Row. It has provided the participants /patients the knowledge of their disease and how to take control of their lifestyle. Dr. Tootell is ready to take her skills to another prison, one that has the reputation as one of the toughest penitentiaries in the state. “I don’t think Pelican Bay will be all that different. They have a good heath care team, and they are moving more to a level-two population now,” said Tootell. “So I expect that they will be growing around that. “I know they still have the max group (maximum security) there, and I think it will be like here when we have to deal with condemned row,” she added. Dr. Tootell expects that not a lot of programs there, but still hopes to do programs and work with the patients. “Being here was a wonderful place to actually practice medicine,” she said. “I had really lovely patients I dealt with. They were really engaged in their health care.